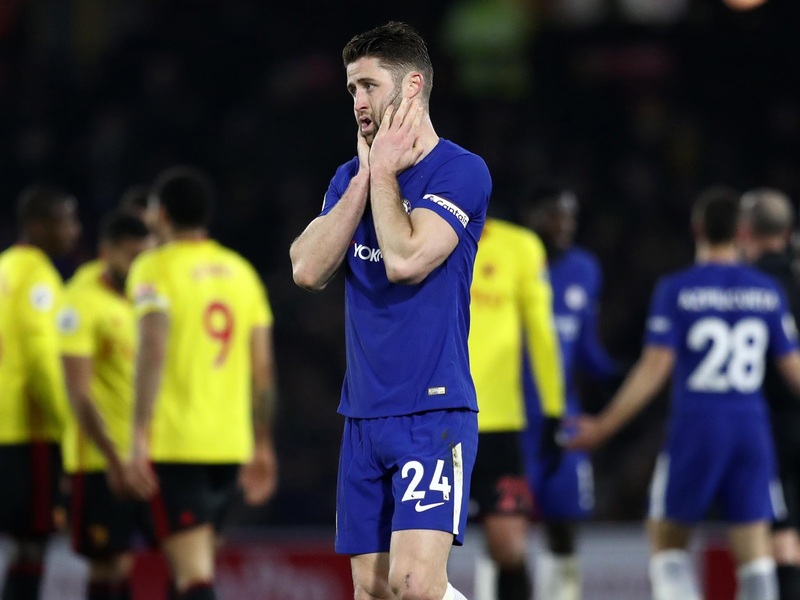 Gary Cahill: Watford, one of worst performances of my career, I did not recognise us. Gary Cahill has been speaking to Sky Sports ahead of tonight’s Monday Night Football and has called for calm whilst admitting that our last two performances have been more than below the required levels expected here at Chelsea. Having suffered defeat at home to Bournemouth 0-3 two weeks ago we were all looking for Chelsea to bounce back with a good display against Watford a week ago. What followed on that night was a performance that was even worse than Bournemouth as we were soundly beaten 1-4. "I said that I didn’t recognise us as a squad and personally aswell. I didn’t recognise myself in that performance and on reflection the lads would see the same. The performance level was way below, performance wise that was one of the worst performances of my career. But, we are talking about one game. We are talking about being harsh and rightly so but it’s just one game. We’ve had two bad results which has caused an atmosphere outside of the club. I’ve had experiences of that before in the time I have been here. On the pitch its down to us to play and deliver the right performances. We can affect our own performance. In this season, yes there has been drama outside of the football pitch, in addition to the last two results which hasn’t helped but we are a point now where we turn left or right when we are given the next opportunity to get out on that pitch which will be West Brom, to go down that right path sooner than later. Inside the club we are fine, and we remain a tight group. There is no arguments, there has been no falling outs with anyone and no clashes with the manager. It does my head in sometimes when you look back at the past six years since I have been here we have been very, very successful. You look back and see the trophies we have won and results week in, week out saying it’s good, it’s good like normal. Then you have a bad result and BANG, everyone is on it. That’s life, that’s the way this football club is ever since I have been here but, nine times out of ten we have managed to turn things around, become successful again and I don’t see any reason why this season can be any different." - Source: Sky Sports. 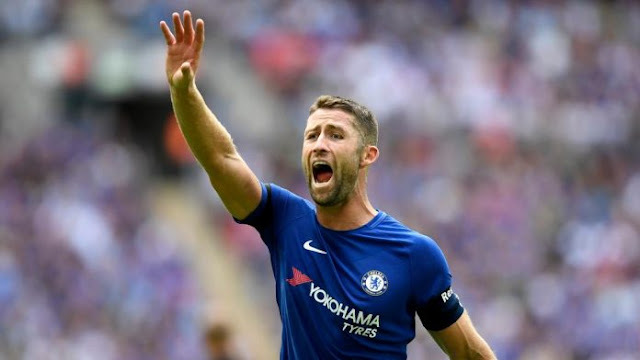 As the regular readers of this Blog and friends of mine will know, I have championed Gary Cahill playing as our Captain as I believe one on one when it comes to moments where you want someone to put their body on the line and literally throw themselves at the ball then Cahill is the man do exactly that. I have openly criticised the ridiculous comments being made by so-called Chelsea fans on social media and encouraged them to get behind him rather than fight against him. However, his personal performance a week ago was not acceptable at all and I am pleased that he is open and honest to agree. 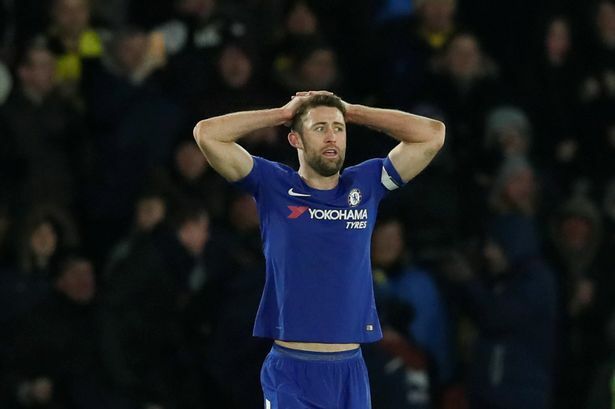 We need to get back to basics with our defending as a unit and get rid of the ridiculous requirement to play the ball out of defence because we continue to put the likes of Cahill under pressure facing his own goal when it’s pointless to do so. He is spot on when he talks of the coverage the team gets following a substandard performance but that’s because of how successful we have been since 2004-5. It’s encouraging to hear that there are no divisions within the squad and everyone remains together. That’s key if we are to re-group these past few days as we prepare to face West Brom in a game that most of the footballing world will be watching. Antonio Conte, Gary Cahill and his team mates MUST lift themselves and deliver the right performance and result this evening to move us back into the top four and to close the gap to Manchester United.